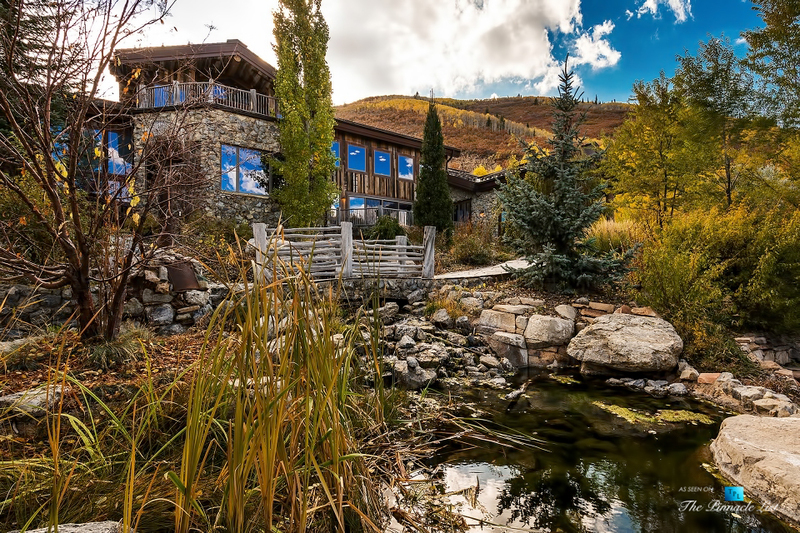 This extraordinary mountaintop mansion set on 4.3 private wooded acres in Park City, Utah is a sensationally unique and distinctive residence with an absolutely incredible interior feature; a river runs through it. 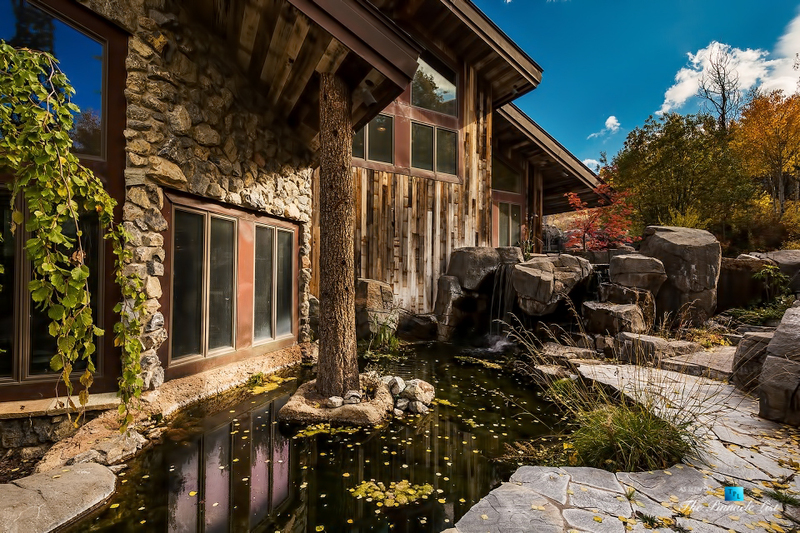 Both the exterior and interior of this magnificent mountain retreat include extensive use of natural elements with rock, stone and reclaimed wood throughout. 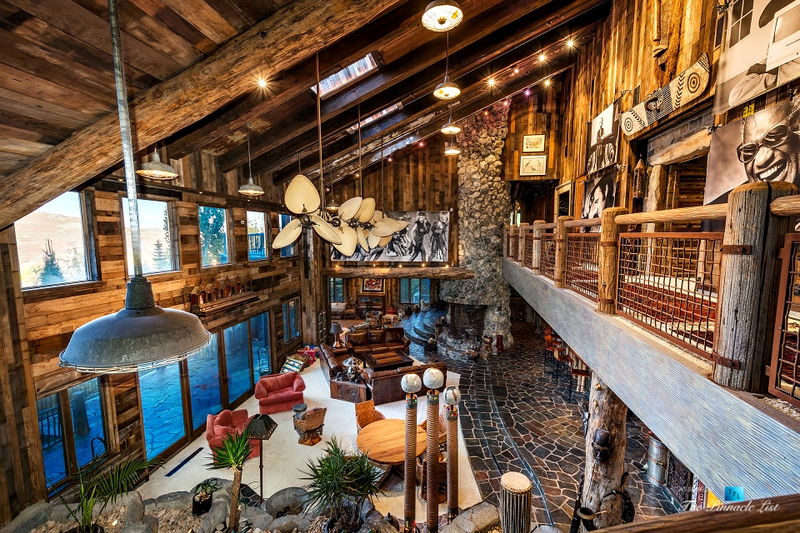 Built in 1996 with over 10,500 sq. 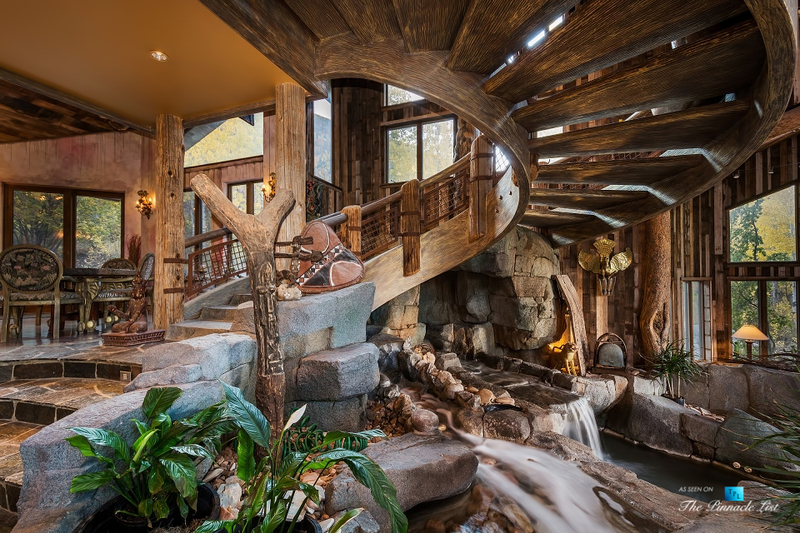 ft. of living space, this incredible residence includes 9 bedrooms, 7 full and 3 half bathrooms featuring a spectacular spiral staircase, amazing indoor rock and water feature, grand living room, formal dining room, 2-story great room, family room, gourmet kitchen, wet bar, 4-car garage and more. 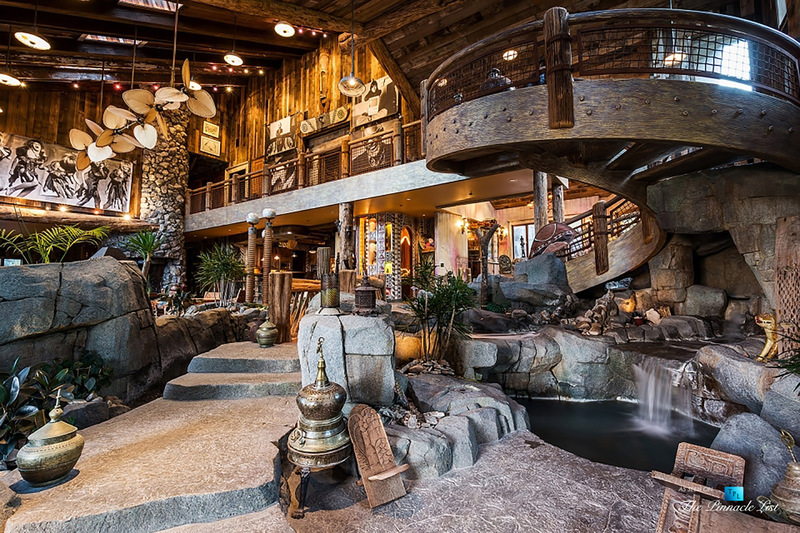 Outdoor relaxation and entertainment areas include multiple decks and ponds. 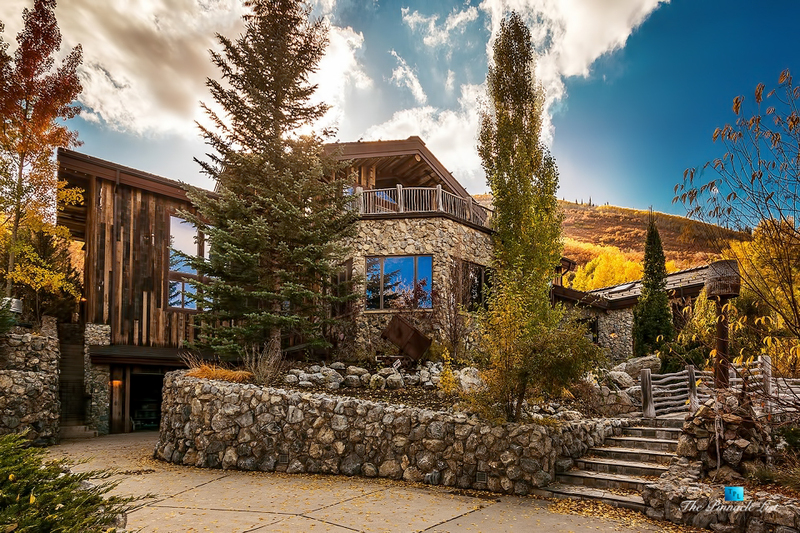 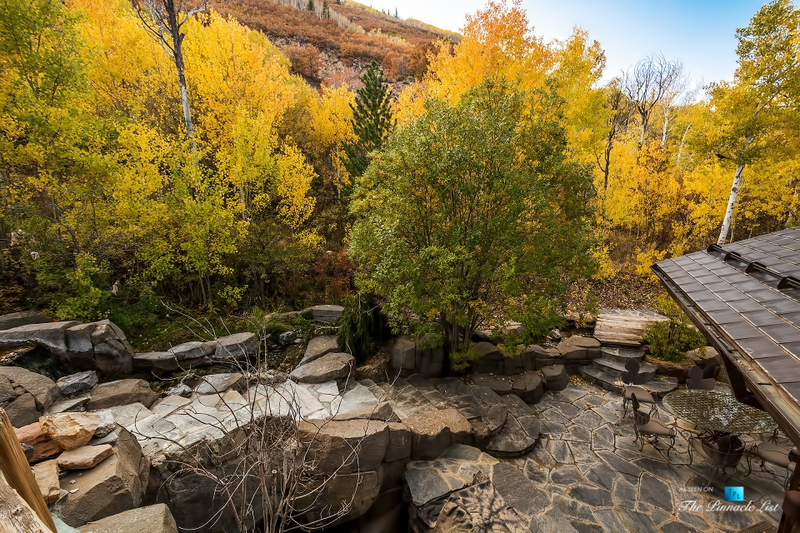 Located within a mile of Park City and Deer Valley ski resorts, the property has the potential to generate major rental income if desired at $10,000 a day.